After the SAFE-T Summit, taken place in London the previous 13th April, the WFSA (World Federation of Societies of Anaesthesiologists) carried out an interview with Dr. David Whitaker about the importance of global surgery and anaesthesia contribution. Topics were: patient safety and medicines. WFSA: Can you give a bit of background about what you do and how it relates to patient safety and medicines? David Whitaker: I’ve recently retired from clinic practice but I was an anaesthetist for over 40 years specialising in cardiac anaesthesia and intensive care, and I also set up and ran an acute pain service. Recently at the Patient Safety Movement Summit attendees were talking about how they got involved in patient safety and for some people there has been a particular incident, sometimes connected to their own family, but I just saw a number of incidents over the years where I thought things could have been done better. When I was elected to the AAGBI Council, which already had long track in patient safety, they discussed oxygen cylinder colours at their first meeting as long ago as 1932, there were some wonderful senior mentors there who were very adept about improving patient safety and raising standards, so I became more and more involved. WFSA: What specific projects are you working on at the moment? DW: I’m currently the Chair of the European Board of Anaesthesiology (EBA) (UEMS) Patient Safety Committee and in 2010 I had the pleasure of helping draw up the Helsinki Declaration on Patient Safety in Anaesthesiology, which covers all aspects of patient safety not just medication safety. The Helsinki Declaration has now been signed by over 200 anaesthesia related organisations worldwide and work is continuing to promote its wider implementation. As well as being on the EBA Patient Safety Committee, I was previously a member of the WFSA’s Safety & Quality Committee for 8 years and I’ve had the advantage of looking back and seeing what changes have happened over the years. Monitoring has made a big difference in improving patient outcomes since the 1980s, but I now see medication safety as the next big challenge for anaesthesia. One of the key challenges is still using drug ampoules for near patient preparation of injections. This is problematic because it’s full of potential human factor errors, so the best solution would be to do away with the use of ampoules and have all of our anaesthesia drugs in prefilled syringes. Anaesthesia has been left behind in this global development with only 4% of IV drugs used in anaesthesia are supplied in PFS compared to over 36% in the non-acute sector. 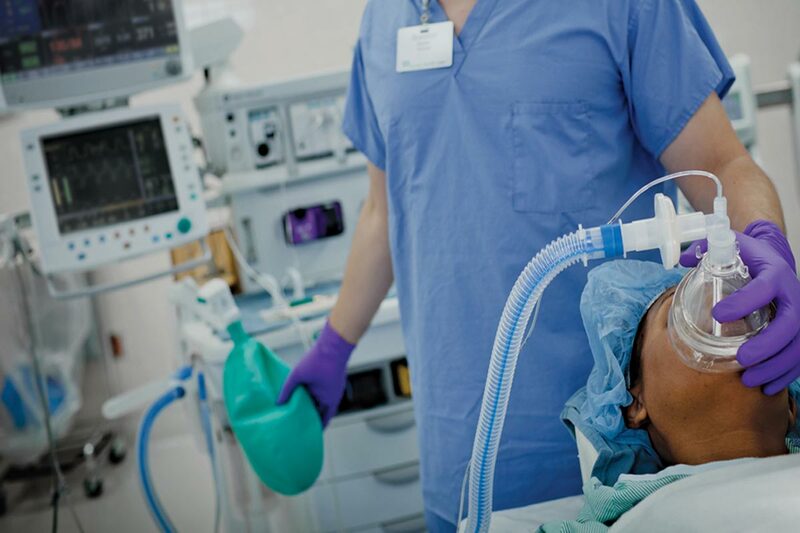 Even the Royal Pharmaceutical Society is now saying that anaesthesia medications should be presented as ready to administer whenever possible. It’s happening in the USA now with over 1,000 anaesthesia departments using prefilled syringes. It’s very applicable to high resource countries, but whether it’s similar for low resource countries is a really interesting question. Expensive HIV drugs are now widely provided on the back of political momentum. PFS products also avoid potential contamination which might have greater value in settings where procedural sterility may be more difficult to achieve. Millions of PFS containing vaccines are already used in these contexts. Another area I’m working on is a standardised layout for the anaesthesia work station/ drug trolleys with specific locations for each drug/syringe. Standardisation is a great safety tool and has additional value when anaesthetists work in teams, or take over cases,with evidence that it reduces some of the medication errors reported. WFSA: What do you think are the biggest challenges to patient safety at the moment (both UK and low resource countries)?